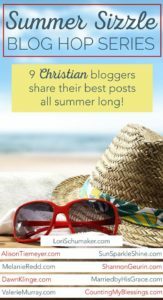 Welcome to the Summer Sizzle Blog Hop Series where 9 Christian Women Blogs share their VERY BEST POSTS all summer long! Friends, I’m so excited about having the opportunity to give you this summer treat. Whether about your faith, marriage, children, or friendships – these posts are those that encouraged thousands of others before you! Kind of like a highlight reel! Catch all the posts HERE! These are 5 things every boy needs to hear as he grows into an independent, strong, courageous, follower of Christ. Are you the parent of a boy? Possibly you have a grandson or a nephew? Whatever your relationship, it’s essential to know boys need to hear certain things from us. We love you as a person, an individual, and as God’s perfect creation. What you do or what you don’t do does not matter. Where you go or where you don’t go is irrelevant. It doesn’t matter what you choose or what you don’t choose. We just love you as you are, and nothing can change that! And, by the way, your heavenly Father loves you too! Our boys need to hear often that they are loved and accepted unconditionally, much like the way our God loves us. 2) “You are GOOD at ____.” (Fill in the blank with at least one thing that your boy does well). Boys need encouragement in their skills and abilities. They need to be specifically told they are good at something. Feeling “significant” is huge for our boys. For several years, I worked in an elementary school attended only by boys. It was an all boys’ school. Also, as a young, single college graduate, I spent many hours everyday training, instructing, helping and equipping 8-9-year-old young men. I remember one of the very first lessons I learned about boys – they respond very well to sincere praise and compliments. When I offered a good word to one of my young students, I watched his shoulders visible lift. There might be no other reaction, but the shoulder lift happened every time with every boy I praised. Boys need to have their “shoulders lifted” daily. So, what about your boy(s)? What are you saying to the boys in your life that will lift up their shoulders? How are your sincerely complimenting their hard work? What are positive skills, talents, and abilities you encouraging? For example, my son is a computer whiz. Since 18 months of age, he loved to play on, tinker with and use computers. We complimented his skills from the very first time that we noticed those skills. And, for most of his life, we have encouraged him in the direction of computers with our words, our time and our money. In about a year, he will complete his college degree in the field of Computer Science and go on to create “code” and “programs” of some type with some company. Or, maybe there is some other skill that your boy has. Whatever his skills and interests may be I encourage you to tell him how good he is at these things. Open your mouth and give that young man hope! Remind them over and over about their giftedness. Our boys need to know that Almighty God created them as an original, a one-of-a-kind masterpiece. They also need to hear how this same God has an amazing plan for their lives. This is a great time to share Bible verses of hope with our boys. I thank you, High God—you are breathtaking! Remind your boys God has a plan and a special purpose for their lives. We need to teach our boys life will not be without its hard can i buy tamoxifen days, bad days and really difficult moments. We do not need to remove every obstacle from their lives or rescue them from everything hard. Our boys need to understand what it is to work hard, face troubles and deal with adversity. Of course, we can support them, encourage them and pray for them; but we must let them FACE real life. As moms especially, we must not coddle them and hover over them like giant helicopters. We must let our boys be boys so that they can become men – strong men. And, show them how to turn to Jesus when life gets hard. Teach them to pray, look into God’s Word, and depend upon their Savior when storms blow through their lives. Remind your boy(s) often that life has some great challenges. Explain how God created roles for men and women, and how that looks in the home. You can use Genesis 3 and the story of Adam and Eve to explain these things to your boys. and in pain, you will give birth. Explain to your boys that God made them strong for a reason. They are to lead their homes and families well and to work hard. Teach them the importance of hard work – especially for men. Some people may think that this is instinctive for young men, but I’m seeing a rather disturbing shift take place in this current generation of young adults. My husband and I live in the midst of many twenty-something’s… most newlyweds. In many of these homes, the young women are going out and serving as breadwinners while the men stay at home and “play” or work just a little. Many of the men are becoming the primary caretaker of the kids while these wives work all of the time. I am not against women working at all. I applaud these young girls and their willingness to give 100% for their families. Women are incredibly gifted and capable, and I am all for the use of these talents. And, sometimes there are unusual circumstances where a wife and mom must be the primary breadwinner. However, I am deeply concerned about a generation of very lazy, carefree young men who are not taking up the mantle and providing for their families. God specially crafted our young men to go out, work hard and bring home provision. As a matter of fact, they are “designed” for this. Please teach your boys to be strong leaders, to be good providers and to get up and take care of their families. Their future wives and kids will thank you. Ultimately, friends, every boy needs to hear positive encouragement from their parents and those who love them. 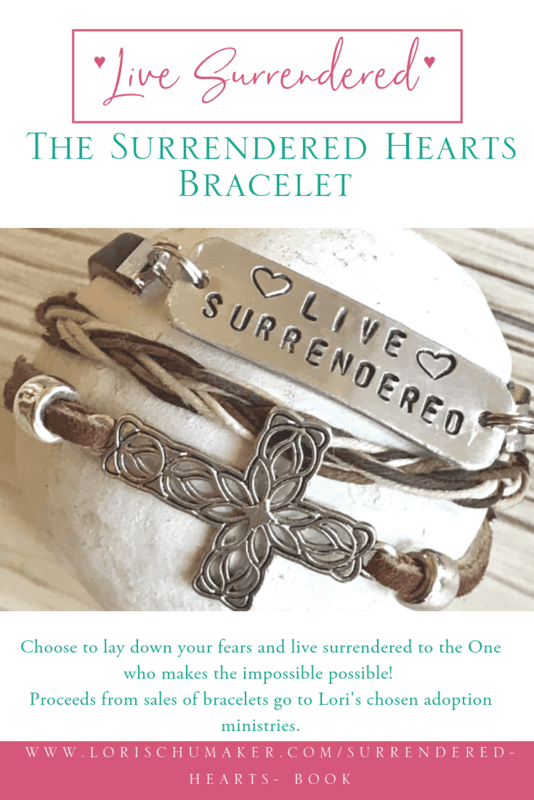 A printable PDF of this list is found in the Library of Hope! I encourage you today to open your mouth and start speaking these things into your boy’s life today. You might just start with one of the five. Go for it! And, then, watch for the shoulder lifting. It might be slight, but I think you will see it. 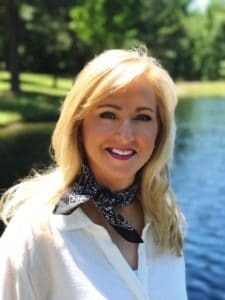 Melanie is a Christian blogger, Motivational Speaker, Author, and Marketing and Social Media Consultant. She’s married to Randy and mom to two awesome college students. God’s grace never ceases to amaze her. 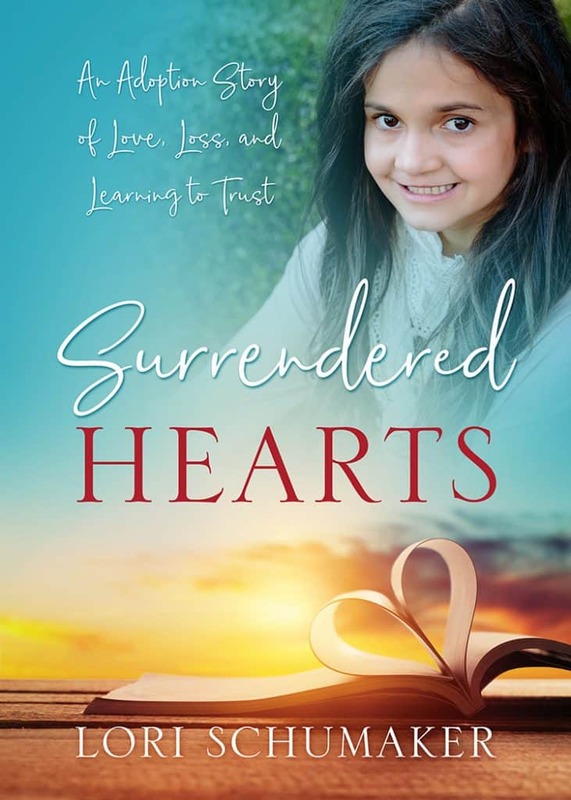 You can find out more about Melanie & her ministry at www.MelanieRedd.com! Have you missed any of the Summer Sizzle Blog Hop Series Posts? Find those HERE! And how about the most popular posts from the #ChosenandWorthy Series? You can find those right HERE ! Hope is at the heartbeat of living victorious lives. Without hope, what do we have? But to hold onto that hope, there are some things we have to embrace like our identity in Christ, the power of gratitude, and a positive thought life. Would you like extra encouragement to keep you focused on the right things? – The things that will keep your hope alive? Last, but definitely not least, thank you for joining me here each week to share the hope given to us through Christ. Whether your words come from a story that points to the full healing you have experienced in Christ, or its a story of the journey along the road to the healing you know He is working in you, it is giving hope to others. Your words matter and it honors me to have you share them here in this space! 3.#MomentsofHope is a place to give and get hope, so would you love others here well? Encourage them in their efforts to share the hope of Jesus. If you have time, stop by more than one sweet writer’s little corner of the blog world! Please either grab the #MomentsofHope button found here or link back to me. If you’ve been featured, grab your button here! Finally, find me linking up with these encouraging places! As the mum of four boys, I can say that these points resonate — and I want to keep on sowing these important messages into their lives! Amen, Michele! Keep on sowing, Girl! Yes, as we raise the next generation, we need to be sowing these truths into their hearts. Thank you, Michele! Thank you for sharing your wisdom Melanie, and thank you Lori for the space to share with one another. Hope you have a fabulous day today! Thanks so much for your kind words, Patti. It’s always a pleasure to see you here! I love this! While I don’t have boys, I do have nephews who I’ve tried to encourage in similar ways. Calling them mighty warriors even as tiny kids, calling out things as though they were (Romans 4:17). Thank you for the reminder of how important it is to encourage and equip kids!! What a great gift, Esther, for you to encourage your nephews! You can make a powerful impact on their lives! Yes, Esther, it’s so important to speak the truth into their lives, to call out the truth. Thank you! Such a great post. As a mom of two boys and one daughter, I appreciate this advice. I’m sharing it on FB and Twitter. Thank you, Sarah. Yes, this is good advice indeed! This is so precious and so encouraging. I love all of the encouragement to speak words of Life and truth and love to your sons. This is so helpful and a good reminder for me as a young woman who has a brother and brothers in Christ. I need to learn to encourage them in Christ like ways more. Thank you! So glad you were encouraged by this post. And, you can encourage your brother and your brothers in Christ. They will be so grateful when you do! Yes, these are truths that are applicable in many ways! All 5 of these are beautiful affirmations that are good for any of us to hear, boys or girls. But I agree with you that boys are especially challenged in this generation and we need to encourage them in specific ways. Thanks for sharing this! And, yes, the words can be shared with our girls as well. Appreciate you and your kind encouragement today. Yes, that’s so true, Lisa. Our sons need the encouragement and truth that we can speak into their lives! Thank you! Great tips. Love them. And so valuable for boys to hear. Along with point 5, I tell my son things like, “When you are a father,” or “when you get married,” to also let him know that he will probably get married. He has a small 2 year old niece who he loves to play with. And now I am telling how great a father he will be because he is so patient and playful with his niece and this also makes his shoulders rise. Thanks for sharing your wisdom. These are great additions to this list! Thank you, Theresa. It certainly is important to help our sons think ahead to what God might have for them. Thank you! Great words! As a mom of an adult boy,I just want to add – it is never too late to start or go back and reinforce. I plan on pinning this one. Thank you! I too never knew what I would do with a boy. I just didn’t know how special a mother/son relationship can be. So blessed to have 3 children and glad God blessed me with a son and 2 daughters. That’s so true – it’s never too late to speak life into our children. Thank you! I love these 5 points so very much. I pray that my two boys (toddlers) will love the Lord, and lead their home , work hard, and serve the Lord. As parents, it is so important to lead by example . Do say a prayer for me. Thank you so much for this blessed post, Melanie! I’m certainly praying for you, Diana! Thank you for being here. May the Lord bless you as you raise your family! Thank you, Sherry, for being here! Melanie, Loved this! Thanks, Lori for sharing! I agree! Thanks for stopping by, Leslie! Your list is wonderful wisdom to help me raise these boys. I agree, Julie. This is a great list to encourage and affirm the boys and men in our lives! Thank you! Moms raising boys should read this. It’s very important to raise Godly boys because they eventually lead a family. Yes, Lux, that’s so true. We need to prepare them for the roles they are likely to step into someday. Thank you!